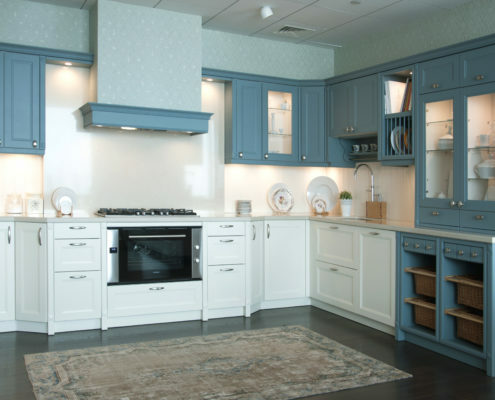 Country kitchens showcase a very strong aesthetic character and exclusivity. Each groove, each knob and each cornice work in synergy to bring the rustic old school charm to your kitchen space. 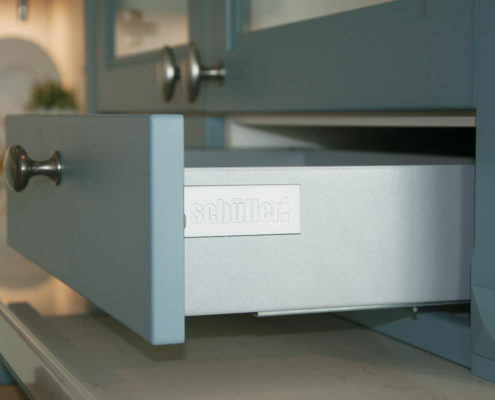 This Schüller country kitchen has been consistently appreciated for its size, layout and style. The design of the kitchen facade with glass shutters, open plate rack, open wicker baskets drawer gives the kitchen an exquisite rustic character. 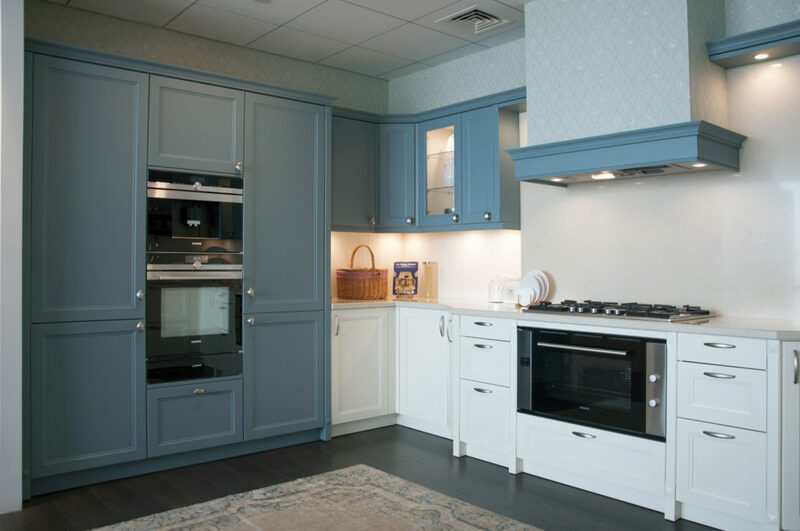 The traditional cornice and pelmet are truly a crowning glory of the kitchen. 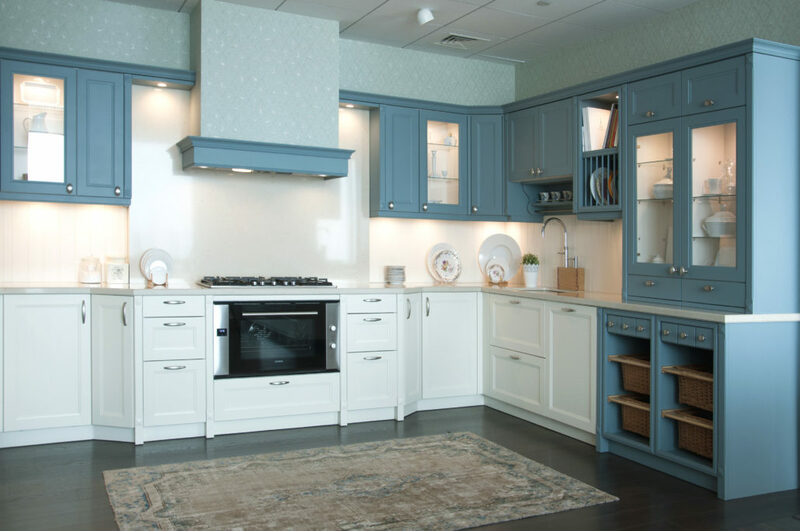 This country kitchen has been one of our supremely iconic display kitchen at Goettling Interiors Showroom. It is time it finds it’s forever home! Hence we are opening our doors to present to you this magnificent kitchen from our creative kitchen range ‘Schüller-C collection kitchens’. Noteworthy is the fact that there is No Waiting Time! This means, with the above ready-to-install kitchen, you can forget about the 3 months average production time of a German kitchen. 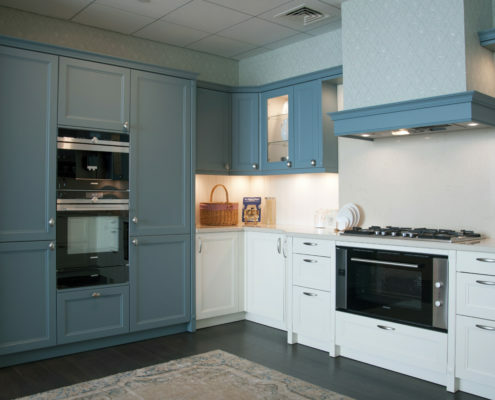 The kitchen with its versatile components can be fit into your space by our expert designers like a hand in glove. Visit us and take a look at this charming country kitchen which will make you feel the warmth of old school charm. Call us on 800GERMAN(437626) or simply walk in our showroom. 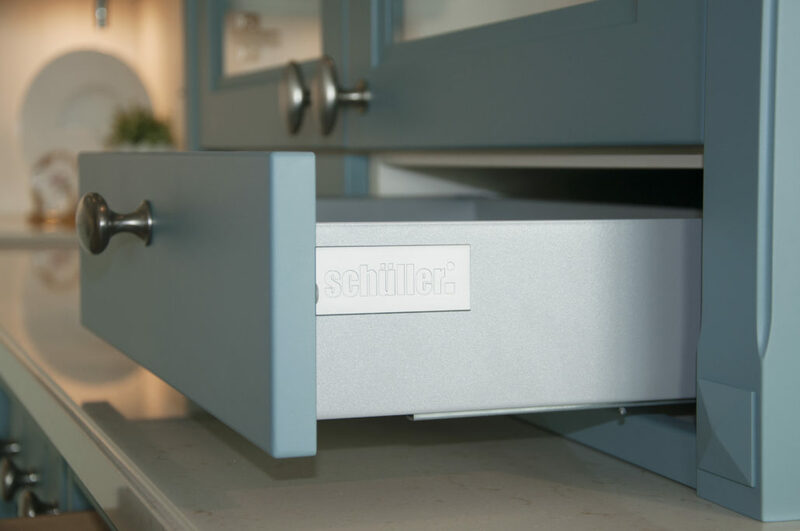 It is time for a quick upgrade to your dated kitchen. 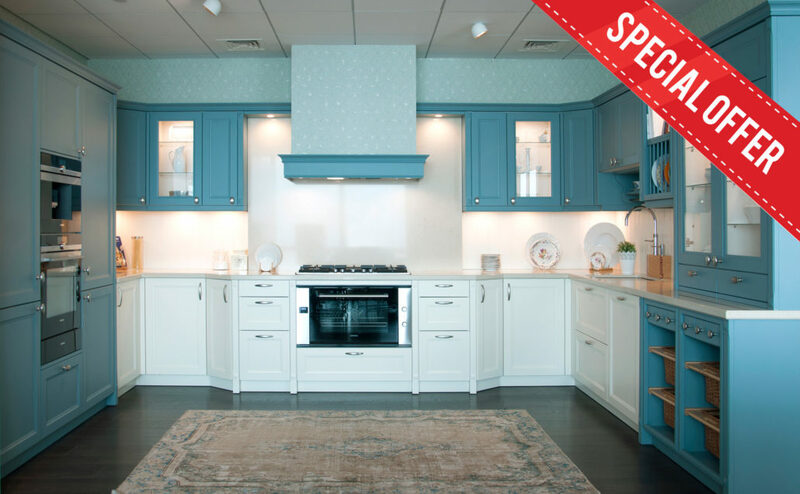 Get in touch with us to avail the massive discount on this kitchen! Follow us on our Social Media channels to view regular photo updates of this kitchen.